The annual Hope Concert was held on Mar. 4 in the Marcus Pavilion. Saint Martin’s University choir members, musicians, and other performers showcased their talent and proudly represented the university. “I felt that as a group, we were all very supportive of each other and there was a lot of positive energy in the air throughout the entire process,” Valerie Smith, a senior music major, said. The selections included musical and instrumental numbers, jazz pieces, and religious hymns, as well as others. “The Hope Concert definitely lived up to its name as well as embodied a sense of inspiration. The soloist and choral performances were passionate, intentional, and eloquent and came together to create a wonderful evening,” said Alyssa Melder, junior and member of the choir and Polyphony club. The Saint Martin’s University Department of Music started this event in an effort to serve as a student talent show, as well as a benefit concert to raise money to help support students attending the Yakima service immersion trip over spring break. 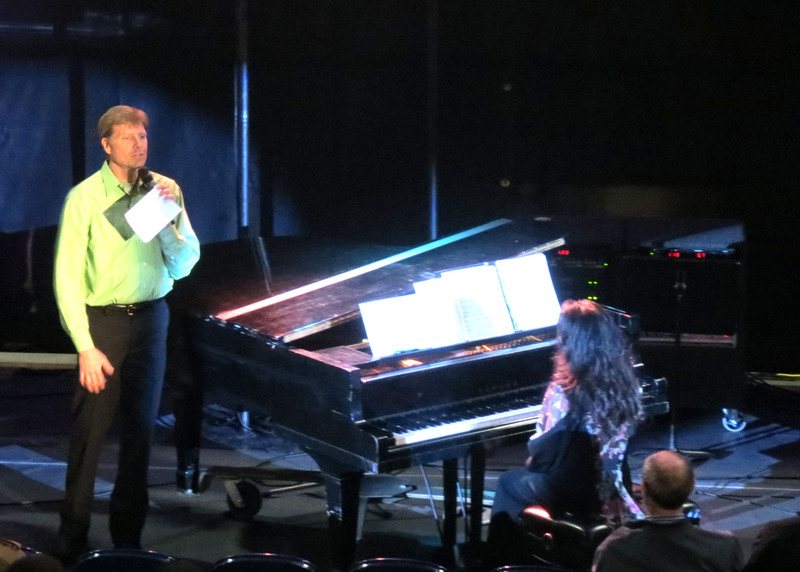 Darrell Born, associate professor and choral director, functioned as the conductor throughout the evening. Susan Leyster, director of service immersion programs, was invited to speak and express her excitement for the service trip and talk about the importance of the donations collected to help those who are participating in the service experience. Phil Lawson, who directs the guitar ensemble, and his group of six students performed a few songs including the well-known hit “Let Her Go” by Passenger. Brad Schrandt, director of the jazz combo, and his group called “SMUtasticks” produced a unique style that carried throughout the songs that they performed and had many members of the audience closing their eyes and swaying their heads to the rhythm. 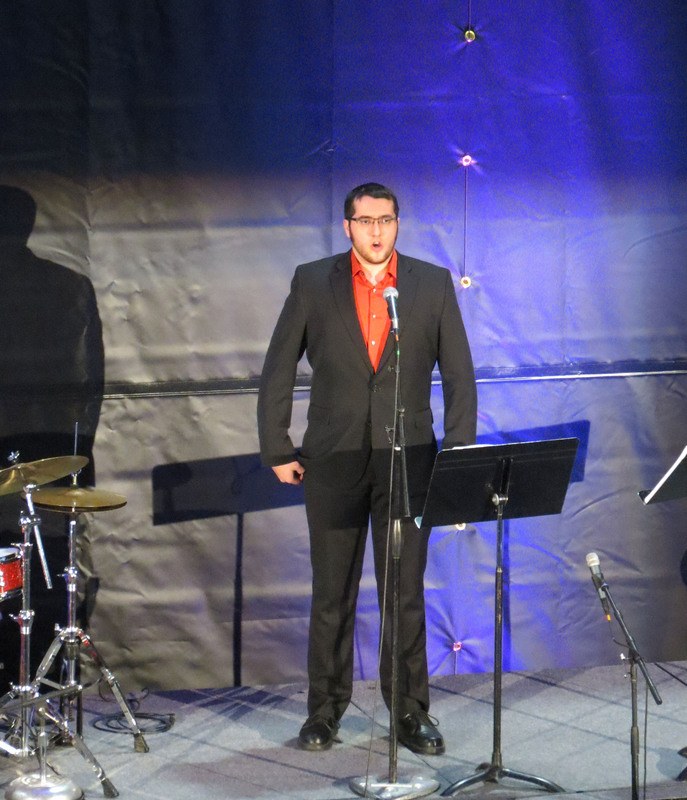 The program also featured solos, duets, and a group number from Polyphony, an a cappella club on campus. Soloists included: Tessa M. Unick, Morgan Smith, Emy Suazo, Alyssa Melder, Chris Lebian, Michael Uribe, Valerie Smith, Jacob Chong, Marinella Chvatel, Claire Palmiter, Valerie Acuff-Neumeyer, and David Ward. Their selections ranged from musical numbers, such as Think of Me from the musical Phantom of the Opera, English folk songs, classical pieces, to popular songs like Ed Sheeran’s Tenerife Sea.